Pure Lean Nutrition’s SPIKE is a pre-workout energy fuel formulated with ingredients that support multiple pathways of energy metabolism. Citrulline Malate helps enhance the availability of arginine, increasing NO production, and keeping muscles full and pumped! Betaine helps reduce muscle fatigue, while Creatine, ensures the availability of ATP, the muscles primary source of energy remains topped up! Adaptogen Schizandra helps the body handle a tough workout, prolonging endurance, enhancing energy and performance. 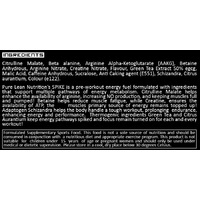 Thermogenic ingredients Green Tea and Citrus Aurantium keep energy pathways spiked and focus remain turned on for each and every workout! 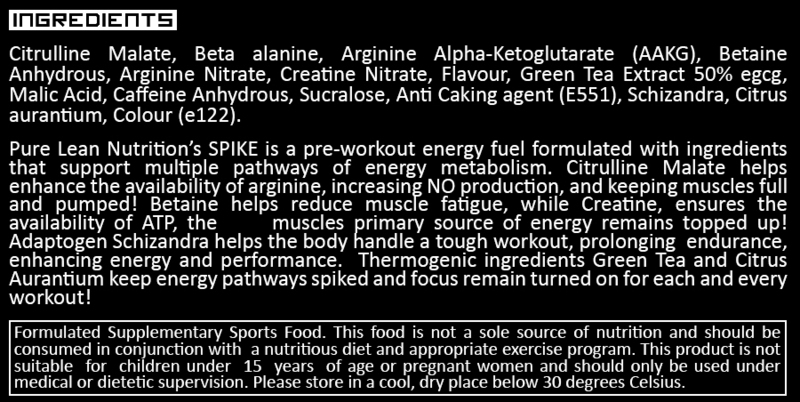 Below are the Ingredients we have used to formulate the best pre workout. 1.5 grams of Arginine Alpha-ketoglutarate athletes believe this helps them excercise longer with less stiffness and build up more lean body mass. Also used as a nitric oxide booster. 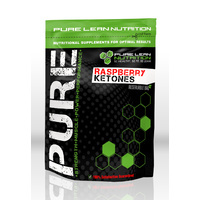 Bodybuilders say that it keeps their muscles pumped tighter and stronger. 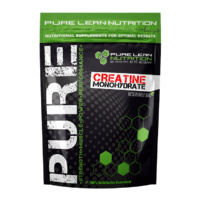 Creatine nitrate - Highly soluable form of creatine to enhance absorption and has said to be alot more effective than standard creatine monohydrate. 150mg Caffeine anhydrous - This is just under 2 cup of coffee and this ingredient is used in many weight loss or energy supplements. INGREDIENTS Citrulline Malate, Beta alanine, Arginine Alpha-Ketoglutarate (AAKG), Betaine Anhydrous, Arginine Nitrate, Creatine Nitrate, Flavour, Green Tea Extract 50% egcg, Malic Acid, Caffeine Anhydrous, Sucralose, Anti Caking agent (E551), Schizandra, Citrus aurantium, Colour (e122). Allergens: May contain traces of soy, nuts and dairy. DIRECTIONS Mix one scoop 15-30 minutes before training in 250mls of water. Do not exceed recommended doses. Do not consume synephrine or caffeine from other sources, including but not limited to, coffee, tea, soda and other dietary supplements or medications containing phenylephrine or caffeine. Contains caffeine. Do not use for more than 8 weeks. Consult with your physician prior to use if you are pregnant or nursing, or if you are taking medications, including but not limited to MAOI inhibitors, antidepressants, aspirin, nonsteroidal anti-inflammatory drugs or products containing phenylephrine, ephedrine, pseudoephedrine, or other stimulants. Consult your physician prior to use if you have a medical condition, including but not limited to, heart, liver, kidney, or thyroid disease, psychiatric or epileptic disorders, difficulty urinating, diabetes, high blood pressure, cardiac arrhythmia, recurrent headaches, enlarged prostate or glaucoma. Discontinue 2 weeks prior to surgery or if you experience rapid heartbeat, dizziness, severe headache or shortness of breath.